In this video I show how to make a minion hat, this video only shows one size, but if you are interested in making other sizes, follow this link to purchase the pattern for all 6 sizes. In this video I demonstrate how to crochet a three layered flower that is approximately 3 inches. I do not have a written pattern for this heart. You can make them and attach them to hats, scarves, shirts, anything!! They are so fun to make! Enjoy! In these two videos, I share how to make a different style of heart. I give tips on what you can do with these hearts after you make them. Enjoy! In this video I demonstrate how to crochet a baby diaper cover in black and turquoise Red Heart Yarn. you may choose any colors you like. Enjoy! In this video, I demonstrate how to crochet a Granny Square. My demonstration is only for the first few rounds. If you want to continue your granny square all you have to do is put 3 double crochet stitches into each ch 1 space and then chain 1. In this video, I demonstrate how to crochet a basic Large Adult beanie hat that will fit a head size 19 inches to 22 inches around. I show how to change color if you want to use stripes. In this video I share how to make a wavy baby blanket using the shell stitch (5dc in same stitch). Watch this video to learn how you can make one too! 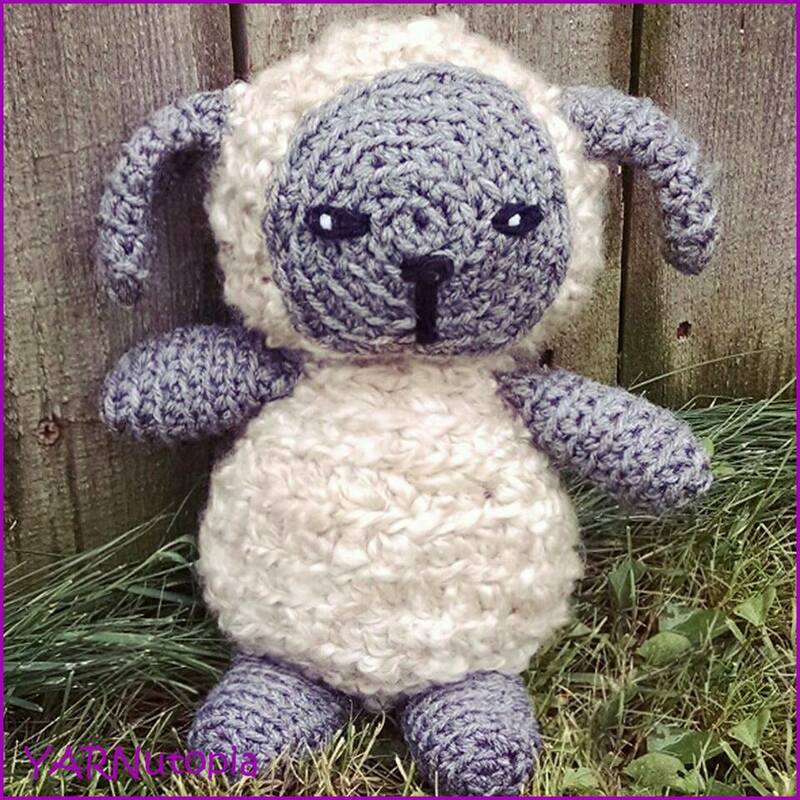 You may sell items made from my pattern, but please reference my name and blog (YARNutopia). -Ch 3 at the beginning of rows counts as a stitch. Do not fasten off if you are using the same color as the last row for the border. If you are using a different color for the border, fasten off. Connect yarn in corner if you fastened off. *3dc in st where 5 dc group is in, ch 1, repeat from * across. In corner, put [3dc ch 2, 3dc] in the last ch in corner, ch 1, turn your work to look at the side of the blanket. Work *3 dc in sc from prev row, ch 1, 3 dc in middle dc of shell, ch 1, repeat from *when you come to the corner, put 3 dc in same st as the first 3dc group, ch 2, sl st to first ch up 3. Turn work to look at the WS of work. Ch 1, sc in corner sp, ch 5, sc in same corner sp, **[ch 3, sc in next ch 1 sp] repeat across until you hit the next corner. sc in corner sp, ch 5, sc in same corner sp, Repeat from ** all the way around. Ending with ch 3, sl st to beginning sc. Sl st into ch 5 sp, ch 3, dc 6 in same corner sp, *sc into sc from prev. row, Shell in next ch 3 sp, repeat from * around. When you hit the corners, put 7 dc instead of 5. Ending the round with sc and sl st to first ch 3 of the round.